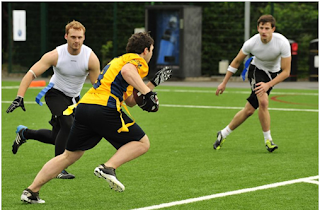 WHO HAS THE ULTIMATE FLAG FOOTBALL TEAM IN THE UK? IS ONLY ONE WAY TO FIND OUT! 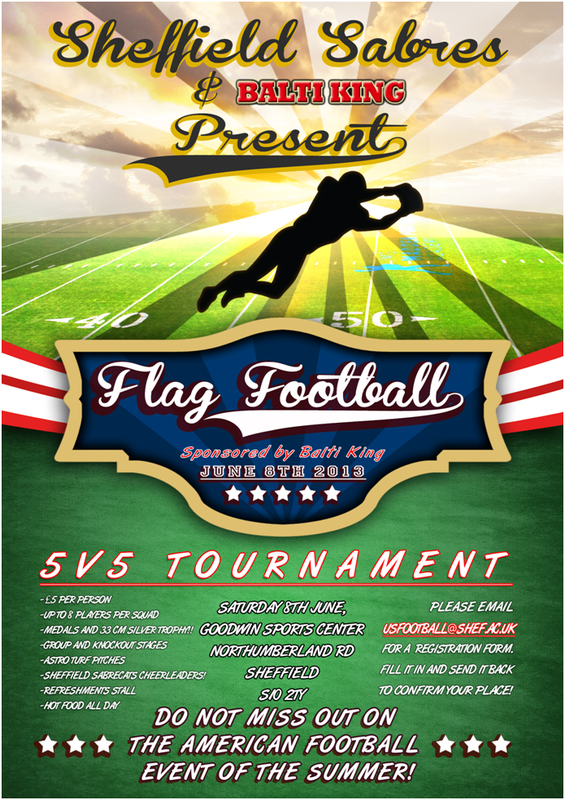 On June the 8th the Sheffield sabres will once again be hosting their annual 5 a side flag football tournament. Last year's event was a huge success, with over 10 teams from around the country competing for glory! Can anyone end the two year winning streak of team Sheffield Air? The tournament will take place at Goodwin Sports Centre in Sheffield on the 3G astro-turf pitches; directions can be found here. This competition is open to anyone who plays American Football! There will be a trophy presentation and prizes for the winning team! There will also be performances by the Sheffield Sabrecats Cheerleading Squad throughout the day, along with a BBQ and post-tournament hospitality!!! Registration prior to the tournament is required. Entry costs just £5 per person. Maximum squad size of 8 people! Please email usfootball@shef.ac.uk for a team registration form. Fill it in with your team details and send it back to us to confirm your place! Please feel free to get in touch if you have any questions! Also, visit our Facebook page. THIS WILL BE ONE OF THE AMERICAN FOOTBALL EVENTS OF THE SUMMER…DO NOT MISS OUT! !